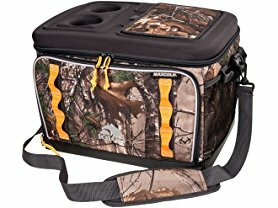 Today only and while supplies last this Igloo Realtree Collapse and Cool 50 Soft Cooler is only $29.99 (Reg. $69.99)! Featuring authentic RealTree and full suite of outdoor grade features, from ultra-thick insulation and puncture resistant fabrics, the RealTree Ultra line is built to withstand harsh, wet conditions and keep your drinks and snacks cold and fresh.